I'm not one for rules, especially when it comes to colour, but I do get swept up in colour trends with the best of them. However, I also start to rebel when I've seen too much of something. Not mentioning any names, DARK GREY. It's not that I don't like grey anymore, in fact some of my all time favourite rooms are grey, but the grey trend has had a pretty overwhelming effect on the interiors world, and it's become kind of oversaturated and, dare I say, predictable. It's as if the whole world has forgotten that it's okay to use other colours - grey is not the only option! 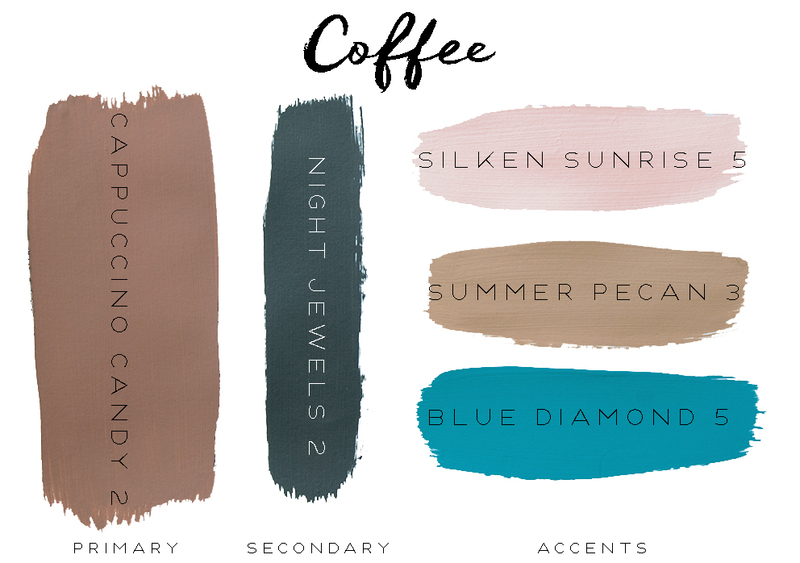 From Camel to Tan, to Coffee and Chocolate, I am LOVING brown in all it's many guises right now. I just can't get enough, and I can't wait to get some more onto my own walls (you can see my caramel coloured studio here). These colours give so much more life and warmth to a room. Yes, they're a little bit trickier to nail, but remember - it's only paint! Don't be afraid. 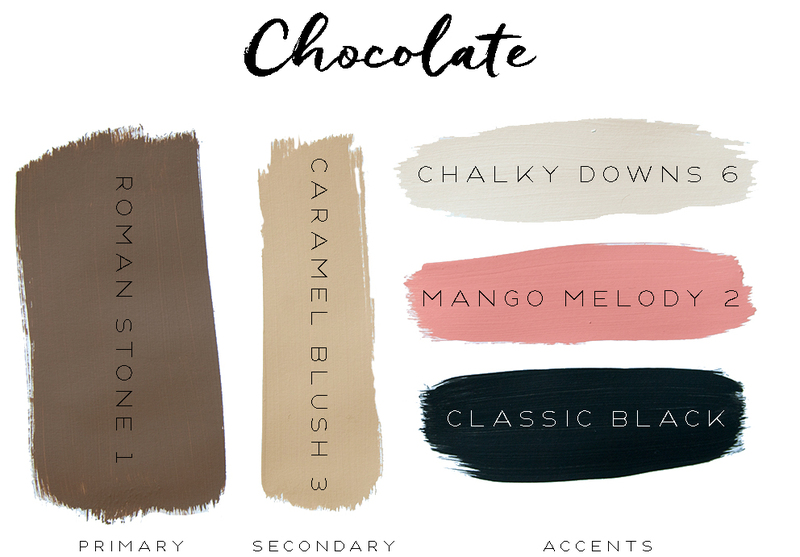 I've created a series of four colour palettes that not only work beautifully individually, but are also completely interchangeable - all the colours work together. Use the primary colours for walls, the secondary colours for large accents like trims (who said they should be white?!) or furniture, and the accent colours for smaller furniture, and accessories like rugs, lampshades, window dressings, cushions and throws. Here's a guide to give you some suggestions. Swap them around, and have a play - it should be fun! I've given you Dulux colour references for all colours below. 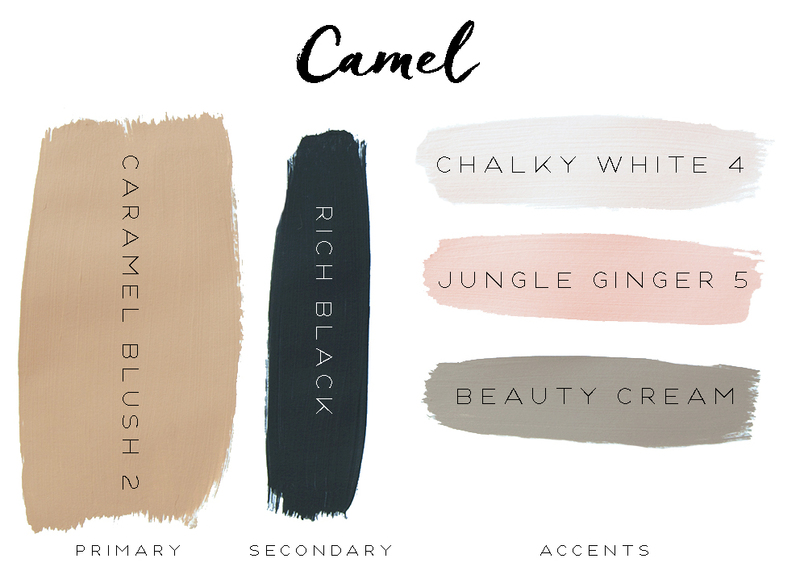 Stick to the Camel palette for a really refined grown-up look, or add some of the other accent colours to liven things up a bit. Use varying tones of the accent colours throughout the room to bring everything together, or just add one big pop of colour in the form of a rug or twin lampshades to really make a statement. The primary and secondary colours can be switched around (I know you might not be ready to fully embrace browns just yet! ), and the accent groups can be swapped into different palettes too. If you're not ready to completely move on from grey walls just yet, consider adding a tan vintage chair or sofa to the room if you're in the market. The great thing is that greys and browns sit beautifully together, so it's really easy to mix it up! And nothing brings a room to life more than some live plants and metallic accents. And when I say metallic, I really mean brass, because that's my favourite. This post is in collaboration with Dulux. Well said Bianca! 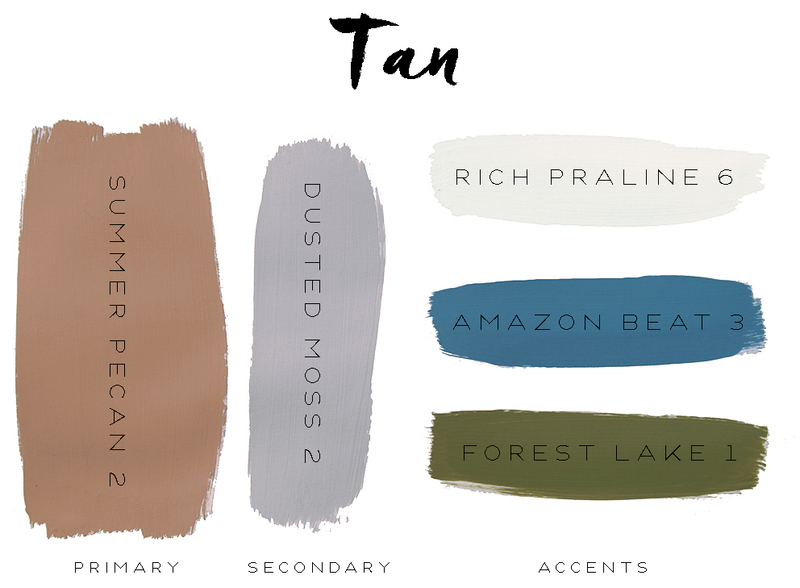 It would be great to see a bit more variety and brown is just as versatile a neutral as grey. I painted my living room Farrow & Ball's London Clay two years ago and it has stood up to several changes of accent colours already. The only problem is that because every colour looks great against it, it's hard to commit to just one! Really love the palettes you have created. I'm in an all grey/white routine at the moment and love it but also know it will change like any trend so good to see options like this against each other as inspiration.